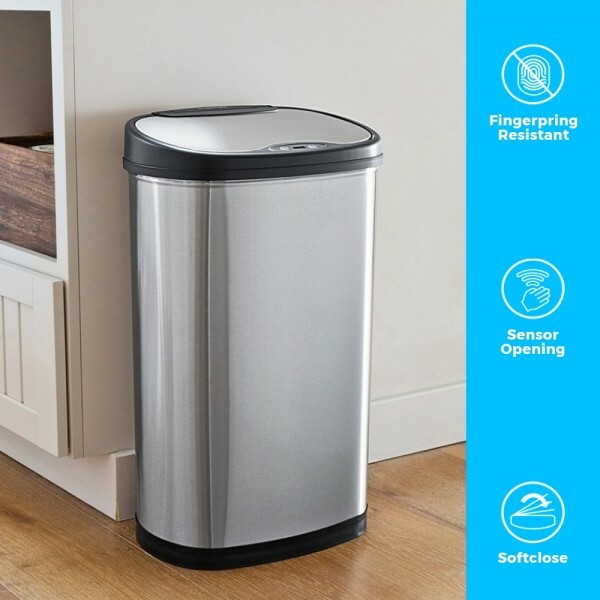 Our brand new range of oval plus series 50L waste storage bins features ideal hands-touch-free operation that will give your routine a whole new meaning when it comes to keeping your home safe, clean and hygienic. Using cutting-edge technology, it can detect when your hand approaches within 10 inches of the smooth and smart stainless steel lid with black abs plastic surrounding, it opens and closes for you automatically. Now how is that service for you? Sir/madam! Although the kitchen should always be one of the cleanest rooms within your house, there's one particular appliance that we can't avoid using and touching every day, mostly before and after every meal of the day, which is full of germs and bacteria that could be harmful to all of us! This particular and dirty object is the rubbish bin, but how can we avoid the cross bacteria? Well, thanks to the stainless steel bin 50 Litre, wholly designed and engineered by Ninestars, disposing of trash will be much easier and much less disgusting. How come? 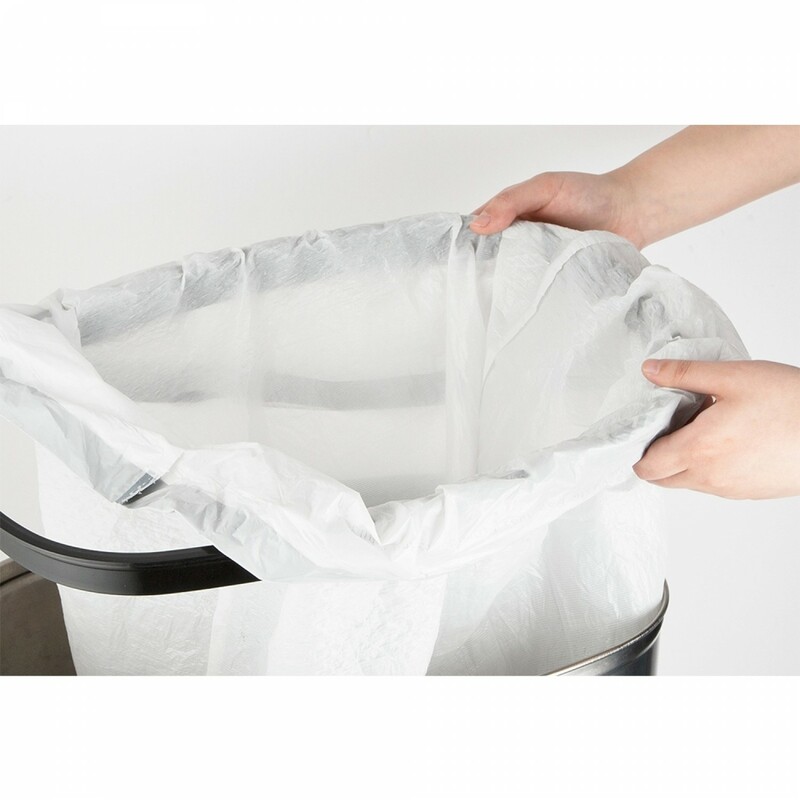 This waste can feature ideal hands-touch-free operation that will give to your routine a whole new meaning when it comes to keeping your home safe, clean and hygienic. 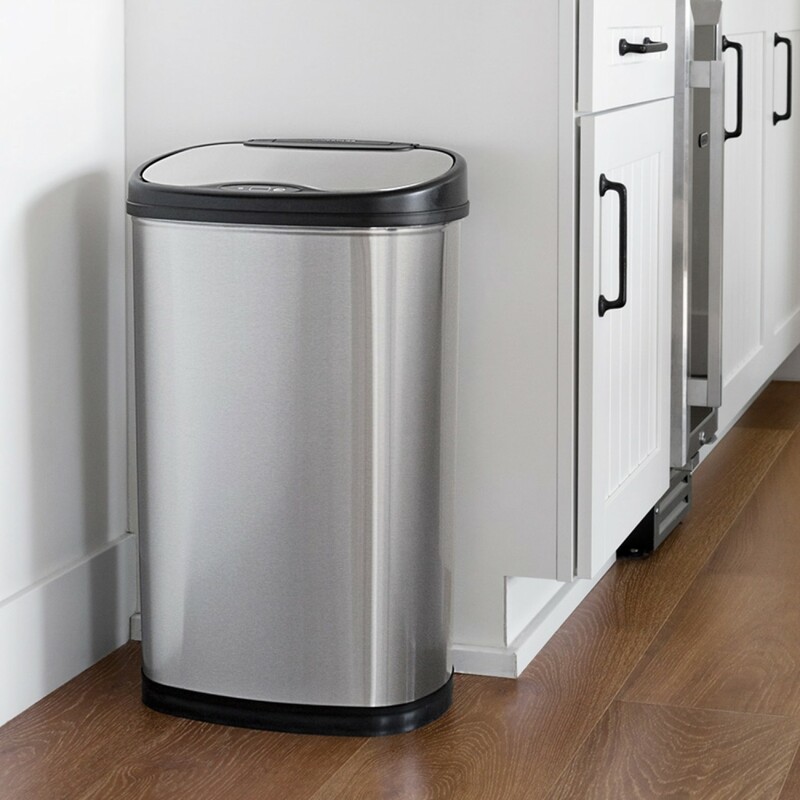 Our motion kitchen sensor bin that can detect when your hand approaches within 10 inches near the lid. Once the motion sensor detects your hand, it will instantly open so you can neatly dispose of every single piece of waste you are holding and don't even worry about the closing process. When you remove your hand and walk away, after three seconds, the automatic lid will perfectly close for the odour and bacteria to stay where they belong, inside the automatic bin. This fantastic process could even last up to 18 months in normal daily usage so don't be afraid of wasting the battery life either! 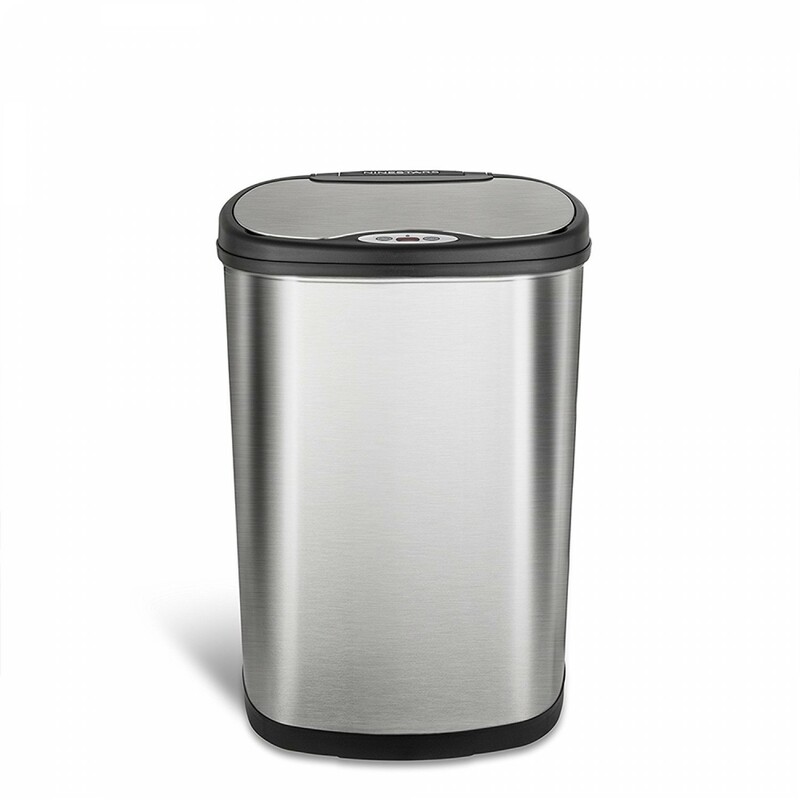 The refuse bin also features smart design, and it's perfectly shaped for you to place it wherever you want, regardless of the room size. It is the slimline, sleek and eye-pleasing design that well placed in any kitchen, home or commercial environment. Features •	Premium Quality stainless silver steel Body that's finger mark, smear and smudge proof. Has a solid anti-skid base. •	Hands-free & touchless operation with its motion sensor can detect when you approach within inches of sensor range, allowing auto open and close. •	Soft, silent and quiet closing bin lid that completely seals unpleasant odours and helps to prevent cross-contamination due to its touch-free operation. Stainless steel finish bin lid. •	Uses 3 x c size batteries, with energy saving technology, keeps battery life 20% longer, that's up to 18 months before the change. •	Taper Design that allows easy removal of bag change which is further support by a high spec bag retaining ring that completely hides the bag out of the public view, whilst preventing and stopping the bag drop.